Buick Regal TourX. The Subaru Outback would be the second best. There are only 4 wagons on the market I think. The VW ones have firm rides. 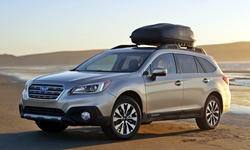 Next would be a Subaru Outback with the 3.6L H6 motor. It also fits you desires quite well. The Limited model with full safety suite stickers for about $1,000 less than the Buick but has a number of features either not avaiable on the Buick or only available as options. Generally speaking the Subaru has been quite reliable but the 2019s have had some issues with navigation head unit. $2-$4K discounts off MSRP are common. 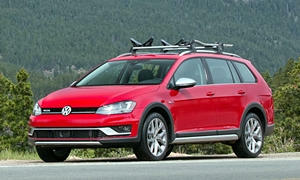 Last but not least in the new category is the VW Sportwagon (FWD) or Alltrack (AWD). They are pretty much identical other than the difference on how many wheels are engaged. The VW is smaller than either the OB or Buick, but it is a very space efficient package that drives more sportier. You could get either model fully loaded for less than your max price with change. VW reliablity can be spotty with some having a lot of niggling problems. On the plus side it will cost the least to purchase and operate and has the longest warranty (6 yrs / 72,000 miles). Both the Buick & Outback compare quite favorably. 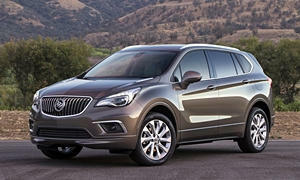 The Outback is leans a bit more toward the SUV mold while the Buick is more of an urban cruiser. Similarly equipped the Buick is likely to cost a few grand more (depending on market demand and your negotiation skills) but if you are not concerned about any dirt roads or high clearance, the Buick may fit your needs better as it is marginally more comfortable, faster, uses less gas. Here are a couple of links for comparison reviews of the above models. Personally, given the complexity and potential for issues with any of the above cars, I go new or at least get Certified used model for the extended warranty. Honestly, I'm a Subaru fan having owned 1 Forester and 2 Outbacks. The Forest and 2010 models were flawless for the 5 years I owned each of them. My 2015 2.5L OB model has had a couple minor problems but the gasket leak require pulling the engine. I also own a 2017 Golf 4 door which is a very fun car to drive, very comfortable (for a small car, but not in the same way as the larger cars) and very fuel efficient (I get 25 mpg in town and 36-40 highway). I've had a couple minor trim issues with it. All the issues with VW & OB were didn't render them undrivable were easily resolved under warranty. I've driven the Buick and have to admit it was a very nice car & a very formidable competitor for the Outback. For me, if I didn't have grandchildren to haul nor a vacation home that sometimes requires hauling large items, I'd get the VW Sportwagon as it has offers the most fun and bang for the buck. Between the OB & Buick it would be a tough call. But I'd take the OB again because has a nicer interior IMO, I prefer the smaller size (drives easier and I have a small garage) plus I simply have never been a GM fan. Very personal call. 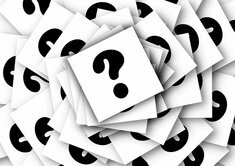 Others are likely to chime in, perhaps with some other options, but any of the above five would do the job nicely for you. As always we would appreciate hearing what end up with and why. Happy shopping! Danlisahall gives you a very good overview of the market, but just test drive the cars both he and Lectrofuel recommend. Personal prefernences are fine, but you should determine what you like based on the reliability given to you by TrueDelta and to a lesser degree, Consumer Reports. The Outback is a cheaper car and lower cost than the Regal, so you can get nearly a loaded car from Subaru but the mid-tier from Buick with your budget. This past April when a tree fell on my car and I had to get a new one I did test both of these models. The Buick was more comfortable on the highway, with the same handling as the Subaru. The turbo four in the Regal had more power than the four cylinder in the Outback. The size of the trunks are very similar but the Outback is a little smaller than the Regal. Gas mileage is about the same with the turbo four Buick and Outback four cylinder. The six cylinder Outback was not available for me to try out. The Regal went more into luxury than the Outback but that makes sense as it costs more at the high end. They both have good AWD systems. Both are good cars and you probably can live with either - it depends on what you want. I would say test drive both and go on that. Me? I went with neither. At the time, last April when the tree fell on my car, I also looked at midsized SUVs and looked at a few of them. I ended up with the Buick Envision because I could get a loaded SUV for less than $38,000 when it lists for more than $50,000. At that huge discount, I wanted the luxury that came with it. I don't regret the decision as now I have almost 13,000 on it after 7 months of troublefree operation. I have done a number of long trips in it and it is quite comfortable on the highway. 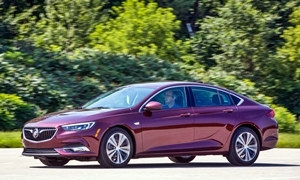 In April Buick launched the 2019 model (new 9 speed transmission from a 6 speed which had been used in mulitple GM models for almost 10 years) so the older 2018 was heavily discounted -and if you can find one you can get the same huge discount now. Good luck, let us know what you try. An older A4 Avant or 3-series wagon would be mid-sized and powerful, the base engine in the Outback 2.5l would be the slowest. Going to a Outback 3.6l is $9,000 more than a Regal TourX at $23K on autotrader. You can option it up there. With the prices dropping on the TourX that would compliment my 2004 Saab 9-5 Arc wagon, the feature content on our current 2016 Buick Envision Prem ll is better optioned than the TourX can be for the price. So we're keeping the Envision. We like the slightly higher seating position of the Envision for ingress/egress and view of the road and the heads up display show speedometer. The Envision is smaller than the TourX but the sliding and reclining back seat in the Envision makes up for the size difference. Plus sliding the back seat forward is better for the dogs riding back there. 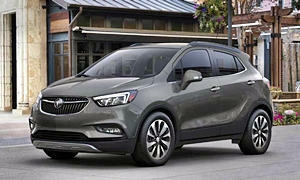 Buick Encore is even smaller but is comfortable on 6-hour drives, our 2013 Emcore had a ecu tune and it was fairly quick to give it "Squirt" nickname, and quiet with Active Noise Cancelation. All Buicks offer 4-year 50,000 mile warranty. When your gonna be laying out around $36 grand for your next car and most certainly don't want buyer's remorse a month after you do so. As others have said, give em all long test drive. A 30 minutes test drive simply isn't going to give you enought time to figure out if the car is comfortable for those long road trips your looking forward to. You need to spend a couple of hours in the car, better yet have it for a day or two. Your derrier may vary! If you're a serious buyer and presentable, most dealers can be talked into letting letting you take out new car go alone for several hours perhaps even an overnight. Another great options are rent one for a week. Outbacks and VW Sportwagens are available at some rental agencies. If you live in a major city you might try Turo. Turo is a neat group of people who rent their personal cars -- usually for about 30 - 50% less than the rental companies. Here in Seattle I can rent any thing from a Honda Fit for $20/ day to a Bentley Flying Spur for $1,300 day. 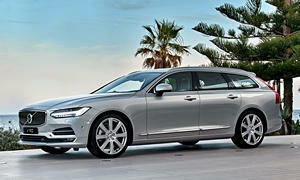 If you want comfort, seriously consider the Volvo wagons. Volvo has some of the best seats ever. Also drive the buick regal tourx and some german wagons. But volvo is the most comfortable. 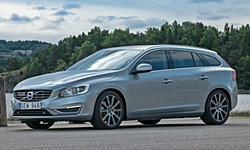 You should be able to get a lightly used V60 in your price range, maybe even a deal on a new one. We succumbed to a good Envision trade-in and $9,000 off a TourX. They paid off our Envision and then some which included the taxes included in the orginal loan. Almost $14,000 in savings for a new car. The Regal TourX has a really smooth ride and with Active Noise cancelation is very quiet on the highway. The car-like driving dynamics as opposed to a compact SUVs makes for a much better ride quality. The awd system works really well on snow and is not as fun to slide as it is just so much composed compared to a SUV. Good deals can be found on the Regal TourX down to the low $20's if you shop. NormT: You're a true Buick Aficionado! Congrats on your new TourX, I enjoyed my test drive of the same and thought it was a great ride. Manyhappy trails to you! So $14k in savings on a new Regal TourX, but how much money did it take to pay off the Envision? That will show how much the car held its value. You should make a review on TrueDelta and post pics. I owed $26k and the dealership paid me $28K on orginal $35K purchase price from two years ago. Plus the $2,800 sales tax bill was part of the loan. With free oil changes it cost me only one I did myself at $30 during ownership.